Will the New Hydrocarbons Law Turn Around the Peruvian Oil Sector? 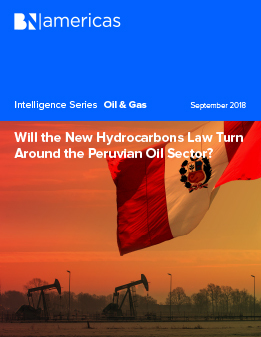 There is a degree of confidence that the new hydorcarbons law to be debated shortly in Peru's congress will clear up some of the uncertainties that have slowed investment decisions. Along with the change in the regulatory framework, the hydrocarbons sector also expects the modernization of the Nor Peruano Pipeline and the completion of the Sur Peruano Gas Pipeline (GSP), two works that could unlock a series of other projects. Read this report to understand the state of Peru's oil and gas industry.